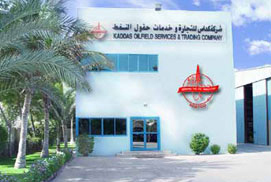 Kaddas Oilfield Services & Trading Co. LLC., commonly known as KOSTCO, was established in the year 1977 at Abu Dhabi to cater to the needs of Oil and Petrochemical industry in UAE. Since then KOSTCO has developed a good rapport in the market and has become one of the most trusted and leading suppliers of bulk piping and flow line materials, valves, fasteners, hoses and accessories for the Oil, Gas, Petrochemical, Power generation & Water and General Engineering industry. KOSTCO has its main office and warehouse facilities in the Mussafah Industrial area of Abu Dhabi which is the main oil hub of U.A.E. with similar facilities in Jebel Ali Free Zone ( Dubai ) and Sharjah which has a total land area of 425,000 square feet of which 50 percent is covered warehouse. This facilitated us to expand our business activities throughout the Middle East and the Asian continent. KOSTCO acts as an agent in UAE for a diverse range of products from reputed manufacturers from all over the world. The company specializes principally in pipeline systems, valves and equipment. It also stocks a wide range of spares and equipments to cater to the needs of its clients which include well known Oil & Engineering companies in the Arabian Gulf. KOSTCO is managed by a team of experienced professionals, which coupled with its mission to keep abreast of the latest technological innovations worldwide is adequately geared towards meeting the needs of its clients in the years to come. The compasny operates in strict accordance with international organization for standardization 9001:2008.